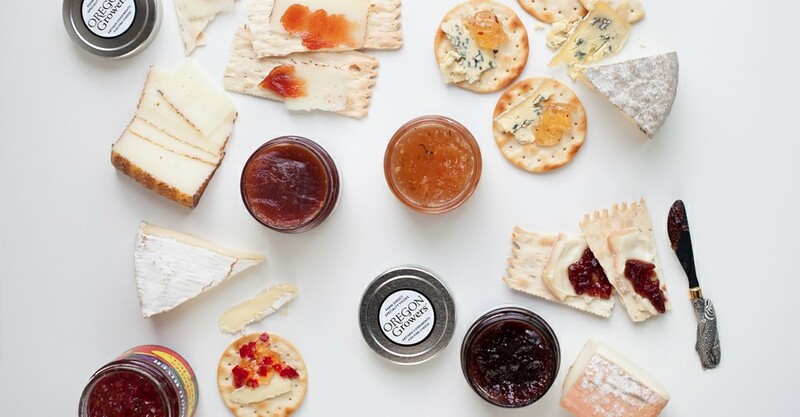 Oregon Growers & Shippers’ fruit pâtes and Hood River Lavender’s Lavender Pepper Jelly pair beautifully with cheeses from the Farm Stand in Hood River. Treat your taste buds to these flavor combinations: Lavender Pepper Jelly with creamy brie, quince with salty manchego, strawberry fig with pungent taleggio, and pear hazelnut with bold Cascade Creamery Glacier Blue cheese. Sound tasty? 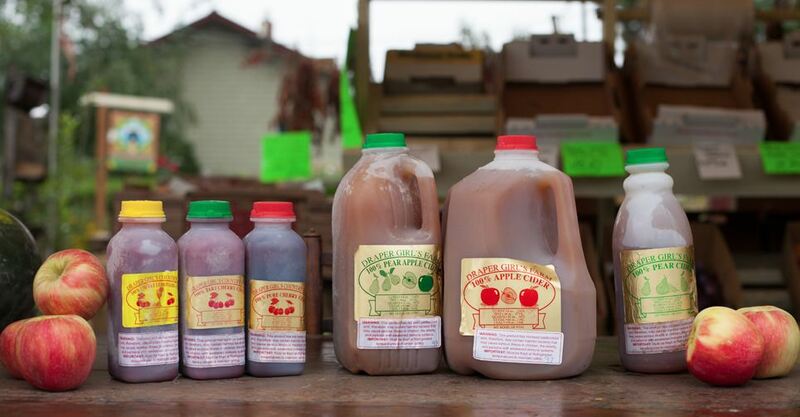 Well, make your way up Highway 35 and stop in at Pearl’s Place, where you’ll find Oregon Growers & Shippers’ products. 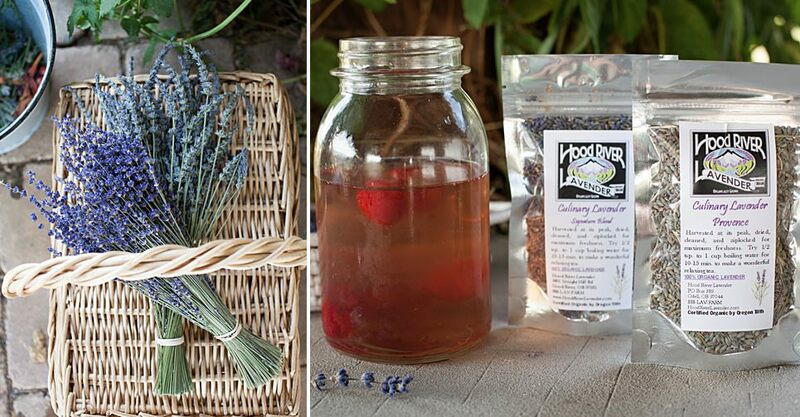 Hood River Lavender Farms is known for its annual Lavender Daze Festival, but owner Diane Orcutt also crafts soothing teas, lavender-spiked salt and her own take on an “herbs de Provence”-style blend — these are reasons to stop in year-round. Orcutt leaves the making of her sought-after Lavender Pepper Jelly and Lavender Cherry Pear Marmalade to the experts at Apple Valley Country Store. Hood River Lavender products can be purchased at the farm or on their website, where you’ll find lots of tasty recipes. 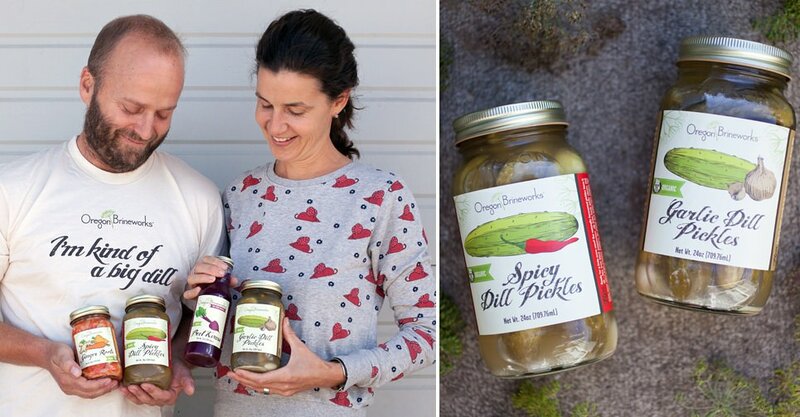 Brian and Connie Shaw of Oregon Brineworks produce organic fermented foods like garlic dill and spicy dill pickles, probiotic-packed beet and ginger gold kvass, classic sauerkraut and the less-classic sauerüben. They also offer fun and flavorful fermented blends like ginger roots, pickled beets and beet-apple kraut. Sandwich lovers (and seriously, who doesn’t like a good sandwich?) will want to take home cool condiments like vinegary hot sauce and raw, organic ketchup. The Shaws love for folks to come check out their production space, and they also have a small but impressive seasonal U-pick area on the farm. Oregon Growers & Shippers makes an impressive variety of orchard preserves, fruit butters, honeys and fruit pâtes that can be used in both sweet and savory dishes. 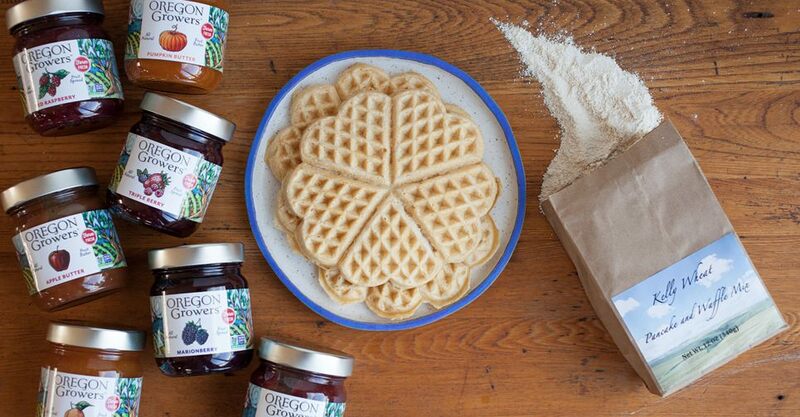 The jams and fruit butters are wonderful alongside waffles or pancakes prepared with a delicious mix from Kelly Wheat, which is made from soft white wheat grown on land that the Kelly family has farmed for five generations. 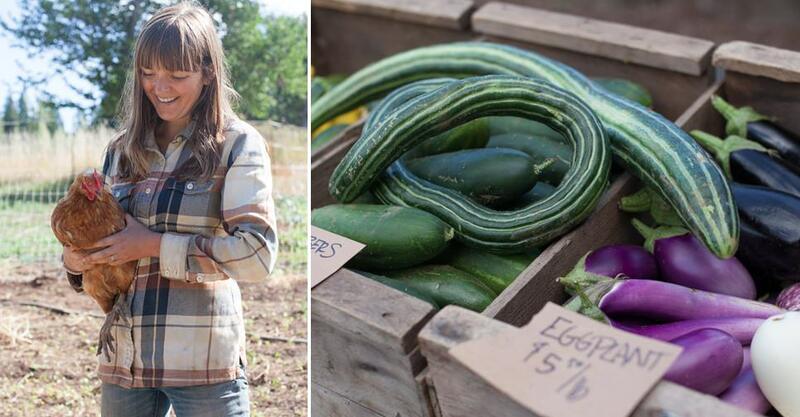 Taylor and Andrea Bemis of Tumbleweed Farm are committed to providing top-notch organic vegetables for everyone at the farmers’ markets in Hood River and Portland, and especially for their dedicated community-supported agriculture (CSA) members. They invite their CSA members out to concerts and picnics at their farm, to canning gatherings and for a beer each week at CSA pick-ups in Portland. They offer lots of storage crops to get their members through winter, like root vegetables, onions, garlic, squash, potatoes and carrots. But you don’t have to be a local to get in on the goodness: Beyond the direct farm-to-pantry produce that comes from the soil at Tumbleweed Farm, the Bemis family keeps a food and farm blog, Dishing Up the Dirt, going year-round. Their inspired, healthy, (mostly) vegan recipes give a glimpse into the hard work and hearty meals that define life at this modern farm. Draper Girls Country Farm sits below Mt. Hood’s magnificent peak, and in this picturesque setting, you’ll find some of the best U-pick apple and pear orchards in the Gorge, as well as a mouthwatering seasonal fruit stand. Want to whet your whistle? Well, you’re in luck. The folks at Draper Girls also press a variety of fresh, seasonal ciders made from apples, pears and cherries grown in their orchards. The cider can be enjoyed fresh or tucked into the freezer for safekeeping. Farm-to-table freshness is all well and good, but here in Oregon you’ll find growers and makers who can help you stock the pantry with culinary delights that keep. This is especially true in the fertile lands of the Columbia River Gorge and Mt. Hood. From fermented organic foods to fresh apple cider, a cornucopia of deliciousness awaits you — and you can bring much of it home, too. Beyond seasonal ingredients for your kitchen, many of these small farms and companies invite you to come see the land and learn more about their craft. You can pick apples and sip cider at Draper Girls Country Farm, peek in on the fermentation operation at Oregon Brineworks, relax and wander the grounds at the Hood River Lavender Farms, and stock up on local jams at Pearl’s Place. Here’s a behind-the-scenes look at some locals’ favorite culinary spots and the homegrown goodness. Kacie McMackin is a food writer, recipe developer and photographer. She loves creating recipes from seasonal, local ingredients to share on her blog and serve to her family. She is happiest in the kitchen, sipping great wine and, of course, eating great food.